With our partners at Historic Boston Incorporated and the Urban Farming Institute, we transformed a historic and neglected property in Boston's Mattapan neighborhood into the new Fowler Clark Epstein Farm—a 21st century urban farm and community center that honors the neighborhood's history and promotes a new vision for a modern, local food system. Fowler Clark Epstein Farm marries Boston's rich agricultural history with modern farming techniques to create a unique urban farming experience. The renovated property—fit with new planting beds and public gathering spaces—is designed to produce healthy food for the neighborhood and provide community engagement opportunities. Serving as the new offices for the Urban Farming Institute, the center supports farming training, public education programs, a farmers market, and a demonstration kitchen. The farm directly serves more than 7,000 people living within a 10-minute walk. At the farm's ribbon-cutting event in June 2018, which was attended by hundreds of community members and local officials, Boston Mayor Martin Walsh praised the project. "What you see here is history, public health, open space and job training, and it's all coming together in an exclusive model," he said. Fowler Clark Epstein Farm was made possible in large part by the local community, which fought to save the neglected property from sale and demolition. With the community leading the way, The Trust for Public Land and our partners transformed the house and property from the ground up. Dating to 1786, the Fowler Clark Epstein property was originally part of an expansive agricultural estate—the kind that once defined Mattapan's rural identity. The house holds the distinction of being the oldest structure in the neighborhood. 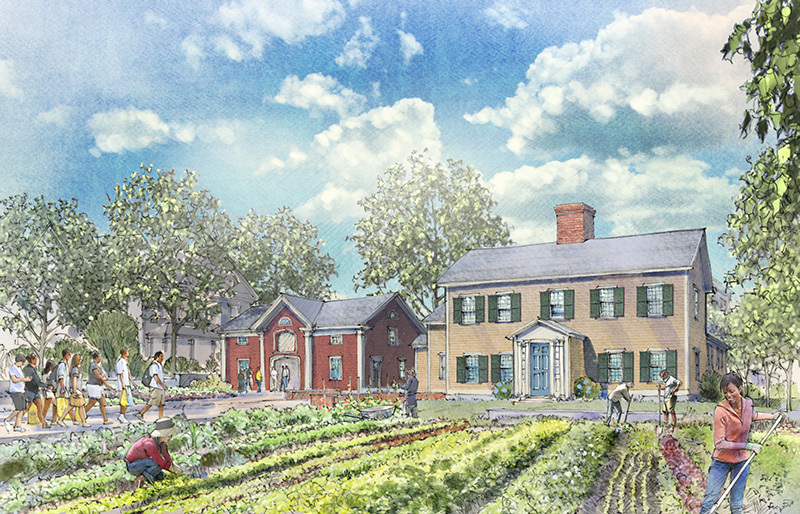 Fowler Clark Epstein Farm is part of The Trust for Public Land's Boston Urban Agriculture Partnership—a community-driven effort to create five farms in Boston that provide healthy food, generate job opportunities, and create more livable neighborhoods.